Children of the world are too often at risk, exposed to conflicts, diseases and natural disasters. Through their global partnership, Louis Vuitton for UNICEF is a leader in humanitarian crises efforts and lifesaving programs, providing emergency support to the most vulnerable children around the world who are exposed to conflicts, diseases, natural disasters and other situations that threaten their safety and well-being. Funds raised will support UNICEF’s efforts to provide the essential interventions required to protect, save lives and ensure the rights of all children, everywhere. 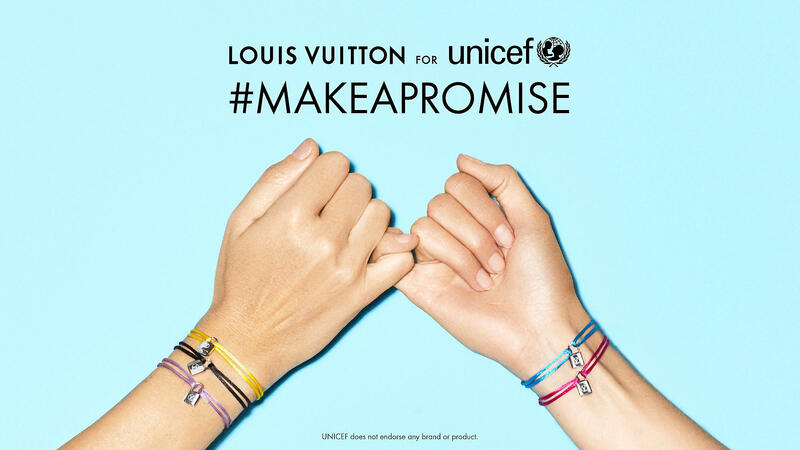 Based on the simple act of a child making a “pinky promise,” Louis Vuitton invites people to join in their promise to help children by linking pinkies with a loved one, sharing it online using the hashtag #makeapromise and making their promise to help children most in need, wherever they may be. A specially designed pendant and bracelet to help children in urgent need: Through December 31, 2018, Louis Vuitton will donate $200 from each sale of the Silver Lockit Pendant and Bracelet, and $100 from each sale of the Silver Lockit Color Bracelet, to support UNICEF's programs. * Items are available in Louis Vuitton stores worldwide and on www.louisvuitton.com/lvforunicef. Direct donations can also be made at support.unicef.org/lvforunicef. “Charity starts at home. We’ve challenged our teams to come up with a simple but strong product that symbolizes protection. The Silver Lockit is inspired by the unpickable tumbler lock, invented by Georges Vuitton in 1890 to protect clients’ most precious belongings that travelled in Louis Vuitton trunks,” said Michael Burke. 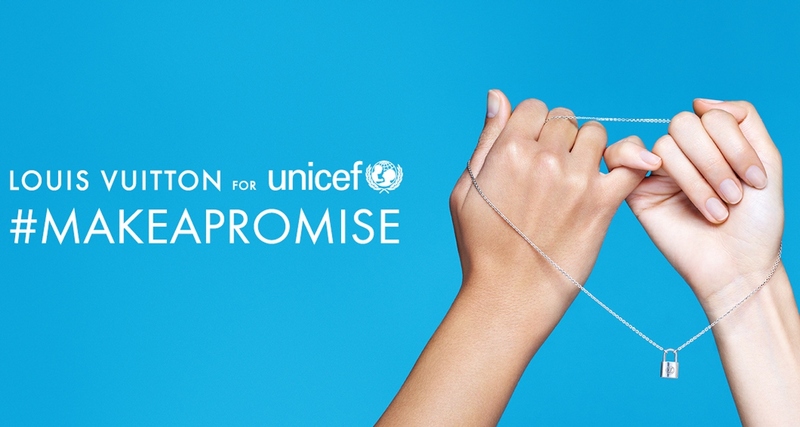 Louis Vuitton for UNICEF has raised over $2.5 million for the world’s most vulnerable children. Nearly 250 million children live in countries affected by conflict and millions more face risks from natural hazards and fast spreading epidemics. Every day, somewhere around the world, a child wakes up to a life filled with violence, persecution and hardship. Since January 2016, the Louis Vuitton for UNICEF partnership has helped raise over $2.5 million to help bring children life-saving humanitarian support in Syria and Nigeria. In doing so, it has brought hope to children who have endured the horrors of war and deprivation. For more information please visit www.louisvuitton.com/lvforunicef. *No portion of the purchase price is tax-deductible. UNICEF does not endorse any brand or product. Are you interested in sponsoring a child? Learn how you can save and protect every child with UNICEF.